With reminders of the tragic death of Aiyana Stanley-Jones, the 7-year-old shot down as Detroit police stormed her grandmother’s house—the wrong house—in 2010, yet another innocent child has been killed by police. 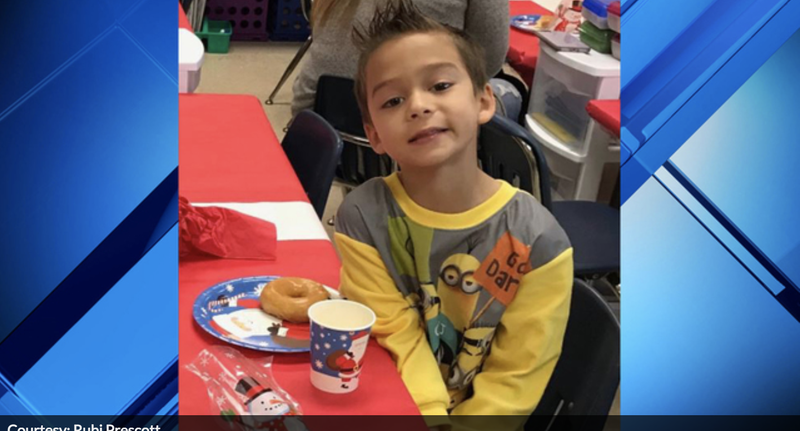 Six-year-old Kameron Prescott was shot and killed by a stray bullet in his home Thursday afternoon when deputies in a suburb of San Antonio opened fire on robbery suspect Amanda Jones, 30, who was also killed. Bexar County deputies had pursued [Jones] for a car theft and other offenses about two hours before confronting her on the porch of a trailer that she had forced her way into, Sheriff Javier Salazar said. The boy, Kameron Prescott, was inside the trailer, although Salazar said deputies didn’t know anyone was at the home in the San Antonio suburb of Schertz. The child was struck in the torso by a bullet that pierced one of the trailer’s walls. He was pronounced dead at a hospital. Salazar said Jones had no apparent connection to the boy or his family. On Thursday morning, a man reported that Jones had stolen his car. She allegedly pointed a gun at deputies before taking off on foot, ending up next to a trailer park where young Kameron lived. Deputies reportedly saw Jones with a handgun and shot her “multiple times,” but it turns out it was a dark pipe. No gun has been recovered. The four deputies involved in the shooting have been put on administrative leave for five days. If you’re hoping for justice for Kameron, don’t hold your breath. Even though the officer in the Stanley-Jones case was found at trial to have not been following procedure, he was never convicted of any crime. Read more at the San Antonio Express-News and KSAT-TV.